Fiestas have been part of the Philippine heritage as the Spaniards integrated it to our way of life to distract us from the insurgencies happening during the time that we were under their regime. 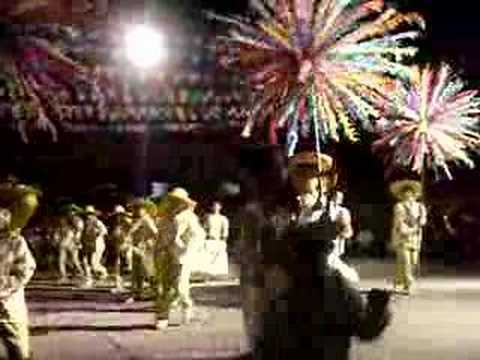 Colorful motives, pompous dresses and regional dances are just some factors which make fiestas worth to be awaited every year. Culture has it that the family who sponsors most of the expenses is said to be the wealthiest, which makes fiestas the time to show just how materially abundant a person is. People who are not well-off are forced to keep up with the Jones and find means to create funds to survive this one-day superficial extravaganza. There are many reasons for celebrating fiestas. The oldest reason for celebrating festias is religion-based. Normally, a certain municipality or province holds it in honor of a saint. Nowadays, fiestas can be used as a venue to promote products, such as bags that are made of anahaw leaves or others adopt the concept for their gatherings. Fiesta has been an outlet of Filipinos for so many decades to forget their problems for a while and have fun. True to how it has been conceptualized by its production manager, Dance Pinoy Team has incorporated to its workshop the idea of fiesta as they are dance artists nurturing culture through entertainment. Expect a fusion of Philippine talent and culture at its best. More updates regarding the recital soon.